I am so thrilled to announce that I have found out the results of my study abroad application. I applied on September 14 and found out my results on October 14. I checked my email every day and awaited the results anxiously. 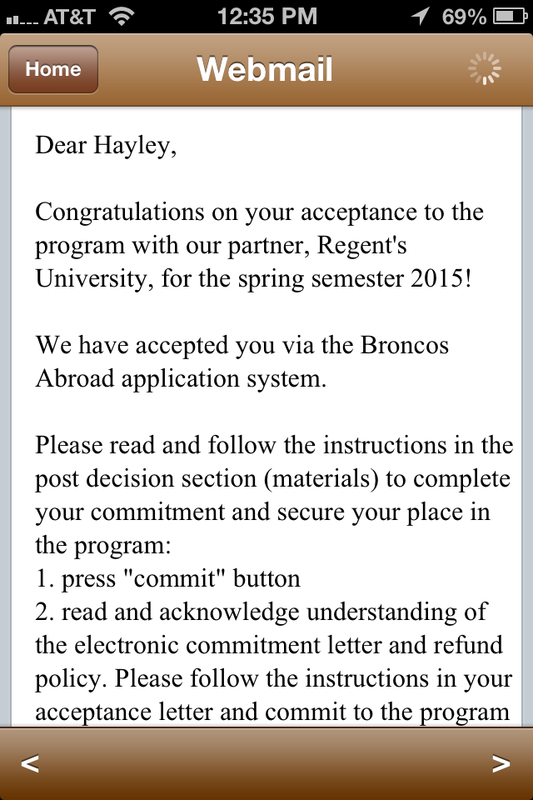 About a week ago, I found out that I have been accepted into Regent’s University in London, England! I got home from work around 10:45 pm on October 14 and checked my e-mail for no real reason. I wasn’t even expecting to see an email from my study abroad adviser, but there it was. I automatically started crying because I was so anxious/nervous/excited/emotional. When I read that I had been accepted it felt like a huge weight was lifted off my shoulders. I think my mom thought I was crazy because I spent the next hour talking about the one million things I have left to do. I created a to-do list in Evernote and went from being excited to being sad. I am making a huge life change and it is super scary but I am looking forward to seeing how my life changes over the next several months. I would really love if any of you have any advice, suggestions, or words of encouragement as I follow my dreams. I can’t wait to take all of you on this incredible journey with me! 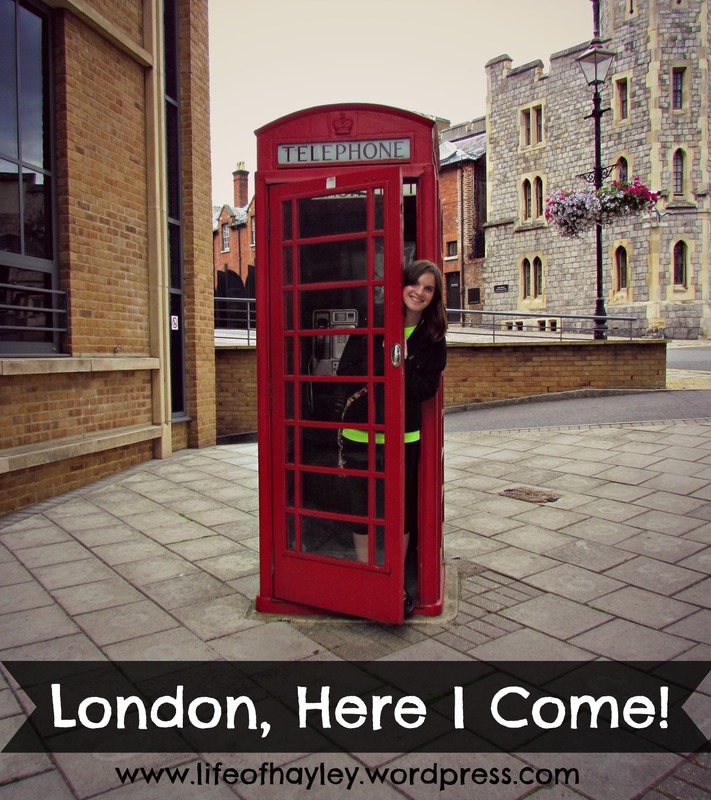 Not to sound cliché, but London, here I come!